Tickets now available for the 31st Annual Classic Nutcracker! Getting in the holiday spirit has never been so informative! Listen here to Minnesota Public Radio’s Classical MPR pre-recorded holiday broadcast of the Nutcracker performed by the Berlin Philharmonic, co-hosted by Ballet Minnesota Artistic Director Andrew Rist. Andrew explains aspects of the Nutcracker ballet’s history and the connections dancers have with this very special musical story. “As Taylor Huber, executive director of Ballet Minnesota says, ‘Once you hear certain music by Tchaikovsky, you’re instantly in the holiday spirit.’…” Read the rest of the article at the Visit Twin Cities link! Ballet Minnesota is thrilled to be welcoming renowned principals Dusty Button and Rasta Thomas, performing as the Sugar Plum Fairy and her Cavalier in our 30th Anniversary production of the Classic Nutcracker! RASTA THOMAS studied martial arts before training in ballet at the Kirov Academy. Theater: Movin’ Out on Broadway (dir. Twyla Tharp), Carmen (dir. Rob Ashford), and Soul Possessed (dir. Debbie Allen). Film and television: Ted 2, One Last Dance with Patrick Swayze, So You Think You Can Dance, Never Stand Still, In Performance at the White House, and the Academy Awards. Featured principal with over 25 companies, including American Ballet Theatre, the Kirov Ballet and the legendary Dance Theatre of Harlem. DUSTY BUTTON was born in South Carolina and began her dance training at the age of 7. At age 16, she moved to New York City to train at the Jacqueline Kennedy Onassis School at American Ballet Theatre. In 2007, Button joined American Ballet Theatre’s second company, ABT II, were she performed the lead role in Adam Hougland’s Vanished. She completed her training with London’s Royal Ballet School on scholarship, graduating with honors and was presented with the Dame Ninette de Valois bursary. While at The Royal Ballet School she performed lead roles in David Bintley’s Gallantries and Natalie Weir’s Unwritten at the Royal Opera House. She also performed with The Royal Ballet in Sylvia and The Sleeping Beauty. Button was awarded the bronze medal at the Youth American Grand Prix in 2006. In 2008, Button was invited to join Birmingham Royal Ballet where she performed principal roles in many ballets including David Bintley’s Cinderella (Skinny, the evil stepsister) and Gallantries; Sir Peter Wright’s The Sleeping Beauty (Temperament Fairy); Twyla Tharp’s In the Upper Room (Stomper); Kenneth MacMillan’s Concerto (3rd Movement); Hans van Manen’s Grosse Fugue; and the lead role in The Centre and it’s Opposite created for her by Gary Stewart. Button joined Boston Ballet in 2012 as a corps de ballet member. She was promoted to soloist in 2013 and to principal dancer in 2014. Her featured repertoire with Boston Ballet includes Florence Clerc’s La Bayadère (Gamzatti, 1st and 3rd solo Shade); José Martinez’s Resonance; Alexander Ekman’s Cacti (Lead Couple)i; Sir Frederick Ashton’s Cinderella (Fairy Godmother, Winter Fairy); Rudolf Nureyev’s Don Quixote (Dryad Queen); Mikko Nissinen’s The Nutcracker (Sugar Plum Fairy, Dew Drop, Snow Queen) and Swan Lake (Pas de Trois and Pas de Cinq); George Balanchine’s Serenade (Dark Angel), Symphony in C (3rd Movement principal), Rubies (Tall Girl) and Emeralds (Lead Couple), and Coppélia (War and Discord, Summer variation); William Forsythe’s The Second Detail, and The Vertiginous Thrill of Exactitude; Jorma Elo’s Plan to B, Close to Chuck (Reborn), Awake Only, and Bach Cello Suites; Marius Petipa’s The Sleeping Beauty (Lilac Fairy); Jiří Kylián’s Wings of Wax; Helen Pickett’s Eventide; Lila Yorks Celts (Principal Brown Couple); George Balachine’s Episodes (Five Pieces); and Jerome Robbins’ The Concert (Wife). 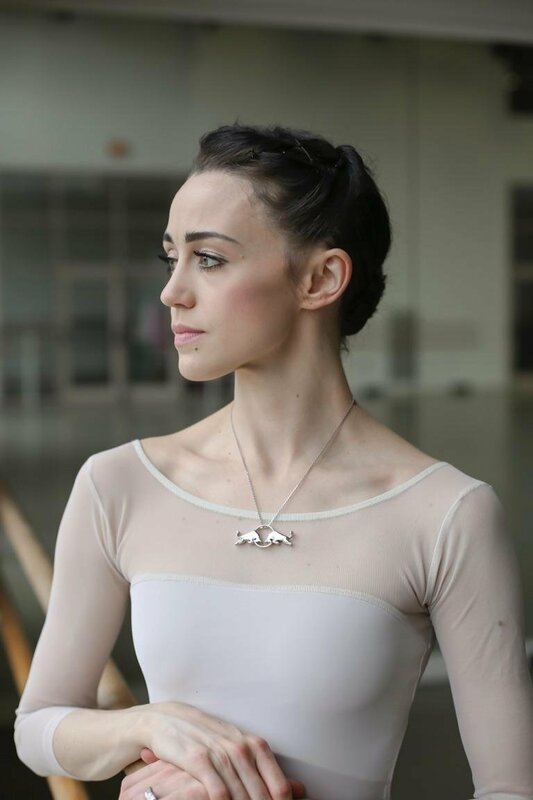 She has turned the page to the most exciting chapter of her career becoming Red Bull’s first ballet athlete . She has been a guest performer with companies around the world including American Ballet Theatre, Japan’s K Ballet, The Mongolian National Ballet, The Ace Awards, Broadway Underground, Alvin Ailey American Dance Theater, Space Coast Ballet and Ballet Hawaii. She has choreographed works for Birmingham Royal Ballet and Boston Ballet’s BB@home series, as well as for various companies and organizations in San Francisco, Los Angeles, Boston, New York, and London. As Button has only begun to make her mark be sure to keep your eyes open while following along with this star in her inspiring journey of success. Ballet Minnesota has been at this game for 30 years, growing its audience from 20 to 10,000 annually for its “Classic Nutcracker.” This year’s show features Instagram star Dusty Button as the Sugar Plum Fairy. Trained at both the Jacqueline Kennedy Onassis School at American Ballet and London’s Royal Ballet School, Button was a principal dancer at Boston Ballet before embarking on a career as soloist and choreographer. or call The O’Shaughnessy box office at 651-690-6700. 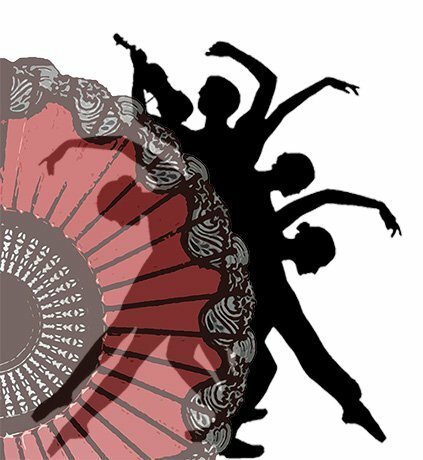 Ballet Minnesota’s full corps de ballet (17 dancers) will perform in Paquita’s variations, featuring ballet’s most celebrated examples of 19th century classicism. “With its Spanish flair, the dancing in this ballet, particularly the wedding scene we are staging, can be quite dramatic and very entertaining for audience members,” said Cheryl Rist, Ballet Minnesota’s Ballet Master. “It’s also extremely demanding of the dancers and requires years of training to perform this ballet.” Originally choreographed for the Paris Opera Ballet in 1846 by Joseph Mazilier, the story centered on a Spanish gypsy girl, named “Paquita,” who saves the life of a French aristocrat, discovers she too has royal blood, and they marry in a large celebration. Over time, however, the full-length ballet has been shortened to one act with a series of variations, solos and a grand pas de deux. The complex choreography has the dancers moving from luxurious piqué arabesques and controlled pirouettes, to relevé fouettés and back to arabesques. Ballet Minnesota’s performance will be the one-act version. Guest soloists will perform the lead female and male signature roles. Violeta Angelova will dance the lead female role. Angelova is currently a soloist with The Suzanne Farrell Ballet at The John F. Kennedy Center for the Performing Arts and founder of the dance company, Artilius Creations. Dancing the famous grand pas de deux with Angelova will be Andre Luis Teixeira, a soloist with the New Jersey Ballet and Brazilian by birth. He began dancing at age 8, and joined his first company, Sesiminas Companhia, at age 14, where he rose through the ranks to principal dancer. He joined the New Jersey Ballet in 2008. In addition to staging the one-act Paquita, Ballet Minnesota company members, apprentices and advanced level dancers will perform the second movement (the scherzo) of Andrew Rist’s full-length original ballet, Beethoven’s 9th Symphony, the life story of Ludwig van Beethoven. Rounding out the 29th Minnesota Dance Festival will be three unique dance performances by local choreographer and dancer, Helen Hatch, the Cheremosh Ukrainian Dance Ensemble, and Ballet Minnesota Company member Casey Juul. Husband and wife team, Andrew and Cheryl Rist, are at the helm of Classical Ballet Academy, founded in 1987, and Ballet Minnesota, which they co-founded in 1990. Andrew Rist serves as Ballet Minnesota’s Artistic Director and Cheryl Rist serves as Costume Designer and Director of Classical Ballet Academy, Ballet Minnesota’s official school. To view Ballet Minnesota’s performance history and events, visit www.balletminnesota.org. or by calling The O’Shaughnessy box office at 651-690-6700. Friday, April 21, 7:30 p.m.
Saturday, April 22, 7:30 p.m.
Prices include O’Shaughnessy’s $2 restoration fee. Ballet Minnesota also gratefully acknowledges the support from Target Foundation, Schuler Shoes, The Pioneer Press, Minnesota Public Radio, The St. Paul Hotel, Minnesota Monthly Magazine, Minneapolis-St. Paul Magazine, Wells Fargo Foundation, Metropolitan Regional Arts Council, National Endowment for the Arts, and McCarthy-Bjorklund Foundation. Ballet Minnesota welcomes new Executive Director Taylor Dreyling Huber! Ballet Minnesota is excited to welcome Taylor Dreyling Huber as our new Executive Director. Taylor Dreyling Huber is a Minnesota native, who began dancing with Classical Ballet Academy (CBA) in 1996 and graduated in 2001. She has received several scholarships to numerous ballet summer intensives such as; Dance Aspen with Jillana, Virginia School of the Arts, Milwaukee Ballet School and Boston Ballet School. Taylor went on to the University of Kansas and the University of Wisconsin – Madison, under dance scholarships. She was a Ballet Minnesota company member from 2001-07 dancing several soloist roles such as; Snow Queen in The Classic Nutcracker, Pas de Trois in Swan Lake, Flower Girl in Don Quixote, Willi soloist in Giselle, Dawn in Coppelia and was in several of Andrew Rist’s original works such as Italian Symphony and The Black Dog Café. Taylor has performed with several companies around the Twin Cities Metro and nationally performed the Grand Pas de Deux from The Nutcracker as a guest artist. After retirement she became a notable teacher and private coach with several schools all over the metro. She currently resides in Woodbury MN with her husband and daughter, instructs Pre-Ballet through Level 2B in both CBA Woodbury and Saint Paul locations and in her spare time teaches Barre Burn classes with Yoga Fresh in Woodbury. Taylor is incredibly proud to be a part of the Ballet Minnesota board, instructing the next generation of CBA, and to be a part of the Ballet Minnesota organization, and we at Ballet Minnesota are thrilled to have her stepping into this leadership role. 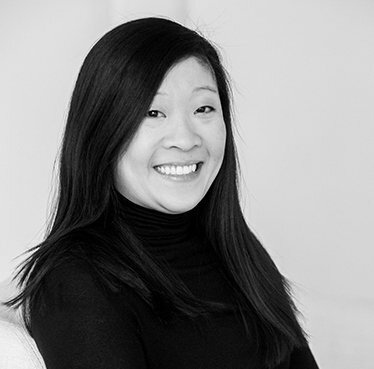 We are also very pleased that former Executive Director, Cynthia Betz, will be remaining with us in an advisory role as we move into what the future holds for us, bringing new art and creative vision to St. Paul and the Twin Cities community. Come join us as we celebrate the start of summer in the Twin Cities! We will have a float with beautiful dancers in tutus, and younger dancers with their family members walking with us down Grand Avenue for the Grand Old Days parade Sunday June 5th. The parade runs along Grand Avenue between Dale and Fairview, and starts at 9:30 am. For more information, see the Grand Old Days website.